Our Braided Bread Recipe has a wide variety of uses beyond the beautiful loaf pictured. Just this week we have made the loaf braided as well as clover leaf rolls and even hamburger buns. As in almost all made from scratch food, there are several steps. Follow them carefully for absolute success! We found this initial recipe at Food.com; it truly is a treasure. Measure all ingredients carefully before beginning. To make the process easier and neater measure the flour on two separate pieces of parchment paper (3-1/2 C each). Once your yeast is completely dissolved and foamy with that wonderful yeasty aroma, move the bowl to your mixer fitted with a dough hook. Add the sugar, salt and 3-1/2 C Flour, mixing on lowest speed until integrated. 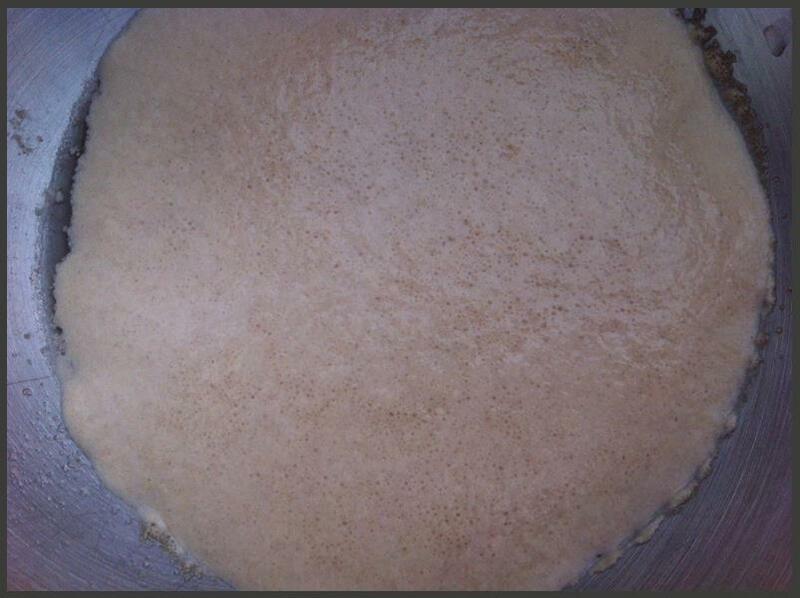 Next add the beaten egg and the oil and put the remaining flour in a cup at a time. 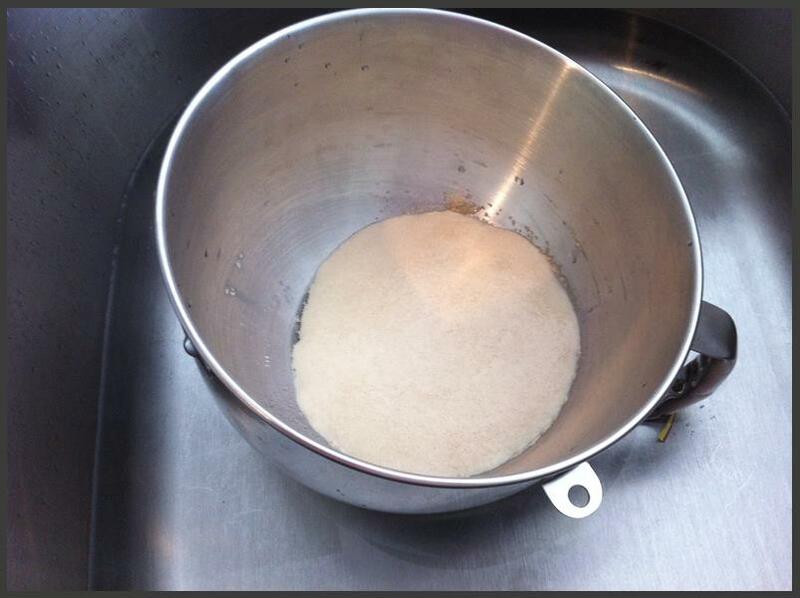 The dough is ready when it pulls away from the side of the bowl even if all the flour has not been used. 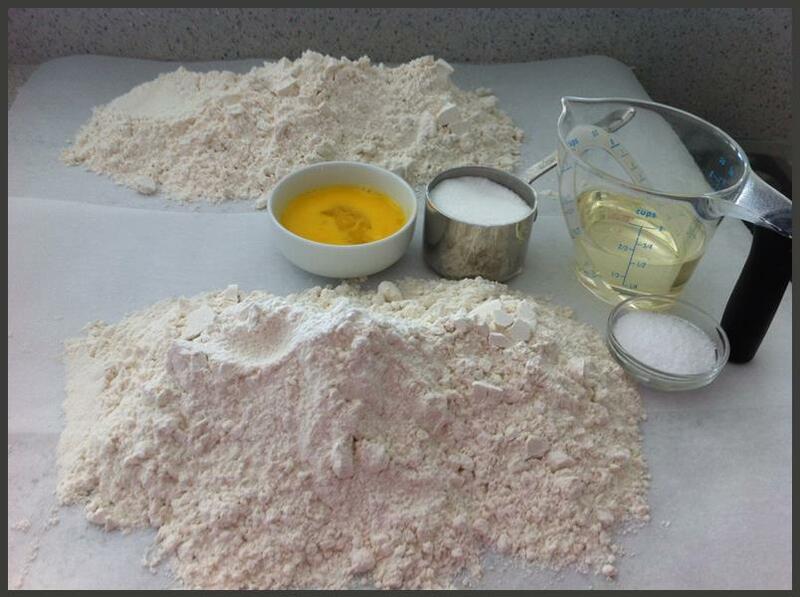 Now, turn the dough out onto a floured surface and knead for approximately 10 minutes, adding small amounts of flour to make the dough manageable. (very therapeutic) The shapeless flour you placed on your counter will soon become smooth and elastic and will spring back when lightly pinched. Oil a bowl well (we used Olive Oil) and place the dough in the bowl, turning it so that it is all coated with the oil. Cover it with a warm, damp towel and place it in a warm, draft-free place for 2 hours. The next step is unusual. Every 20 minutes for the two hour rising period you will punch the dough down (with your fist) in four or five places. It is a good idea to write your "ending time" down and set your timer for 20 minutes each time you "punch it down." When your rising time is complete, line a baking sheet with parchment paper or lightly spray it with non-stick cooking spray. 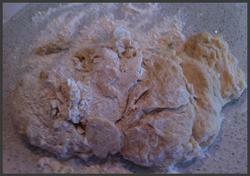 Place your dough on your work surface and cut it into two pieces (two loaves). Cut the piece you are working with into 3 pieces, making them as close to the same size as possible (weighing them is the most accurate.) Roll each of these pieces into a rope 10 to 12 inches long. Pinch one end together to secure the three "ropes". Now begin braiding. My first attempt was a little loose (still beautiful) but the picture shows a nice tight braid which will produce and even more dramatic result. When you are done, pinch the "rope ends" together and tuck under (on both sides) to give a finished, professional appearance. Bake for 20 minutes in a 375 degree Preheated Oven. Turn oven off and let the bread sit in the oven for an additional 15 minutes. Proceed as above to the point of rolling the three pieces of dough into "ropes. 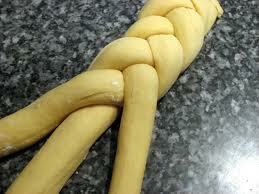 Instead of braiding the dough, simply cut it (we use scissors) into little pieces about the size of a large marble. Roll in your hands to make smooth little balls. In a sprayed muffin pan place three balls into each tin. Let rise for 1/2 hour. Bake in a 375 degree Preheated Oven until golden brown (approximately 10 to 15 minutes). This bread holds up well for almost any shape. 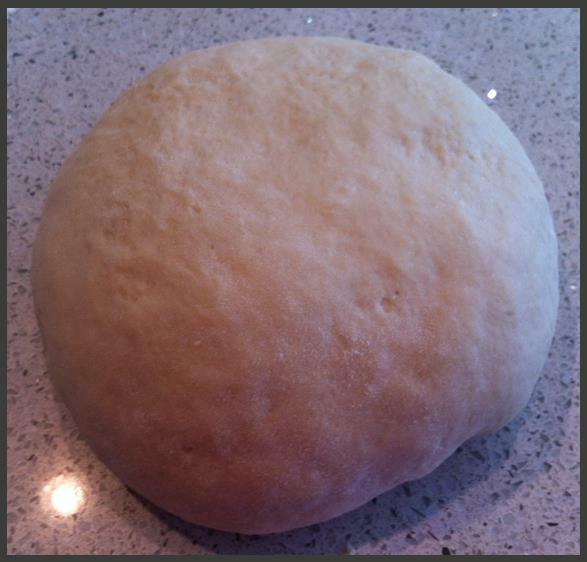 We even made lovely hamburger buns just shaping them into circles and placing them on a prepared baking sheet, let rise and bake!